Responsive web design is the term used to describe creating websites that are mobile-friendly and that also look good on desktops, tablet PCs and other platforms. 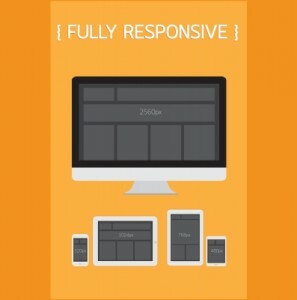 Responsive web designs are flexible and adapt to the type of device that the user is viewing the page on at the time. Responsive WordPress web design could be as simple as a flexible layout that stretches and shrinks to match the screen size (or browser window size) that is being used to view it, or it could be something more sophisticated that includes serving up different images for a user on a low-resolution phone versus someone on an iPad with a Retina display. Having a flexible design matters because mobile phone use is growing massively. Already, the PC (or Mac) is being relegated to the study room and used mostly for gaming and heavy-duty document processing. Social networking, casual gaming and basic product research is something that people do using their phones. This means that if you don’t have a mobile friendly website you are likely to get left behind by people that do. Currently, more than half of all consumers use more than one device when they are shopping around and planning their product purchases. In fact, in some industries almost all searches are done using a mobile phone. They may search for a product using the computer in the office, use their phone to ask their friends what they think, or if they have recommendations for a particular shop or product, and then complete the transaction on their iPad when they get home. 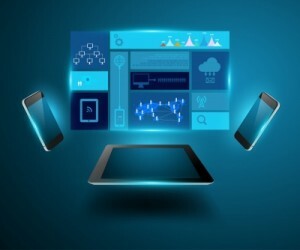 It is important to have a website that runs well on as many different devices as possible so that you don’t alienate users who have multiple devices. A website that is set up for a PC often needs to have changes made so that it provides a fast and easy user experience while being viewed on a mobile phone. Mobile phone users need a site that gives them the information they are looking for with the least number of clicks. They search differently on a phone than on a PC. Navigation and Menus – does a mobile phone user need all the Menu items that are on the PC version? The entire contents on a page may need to be re-arranged. Also, if your page takes more than 5-8 seconds to load then there is a very high chance that your user will hit the back button on their mobile browser before the page finishes loading – and if they do that on their first visit they will never come back to your site again. Responsive design is something that a lot of your competitors are already doing, and you cannot afford to get left behind. You may already have a website that has some responsive capabilities but is it a good user experience? You can use online testing tools to get an idea of how your site renders in most popular browsers and you can also get a feel for how your site copes with different screen sizes simply by resizing the browser window on your desktop PC. However, there is no substitute for testing on a real mobile device. Ask your friends to take a look for you, or hire a usability firm to do some in-depth testing for you. Streamshare are experts in creating Responsive WordPress Websites.